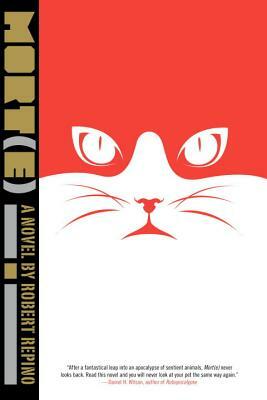 After the "war with no name" a cat assassin searches for his lost love in Repino's strange, moving sci-fi epic that channels both Homeward Bound and A Canticle for Lebowitz. The "war with no name" has begun, with human extinction as its goal. The instigator of this war is the Colony, a race of intelligent ants who, for thousands of years, have been silently building an army that would forever eradicate the destructive, oppressive humans. Under the Colony's watchful eye, this utopia will be free of the humans' penchant for violence, exploitation and religious superstition. As a final step in the war effort, the Colony uses its strange technology to transform the surface animals into high-functioning two-legged beings who rise up to kill their masters. Former housecat turned war hero, Mort(e) is famous for taking on the most dangerous missions and fighting the dreaded human bio-weapon EMSAH. But the true motivation behind his recklessness is his ongoing search for a pre-transformation friend--a dog named Sheba. When he receives a mysterious message from the dwindling human resistance claiming Sheba is alive, he begins a journey that will take him from the remaining human strongholds to the heart of the Colony, where he will discover the source of EMSAH and the ultimate fate of all of earth's creatures.